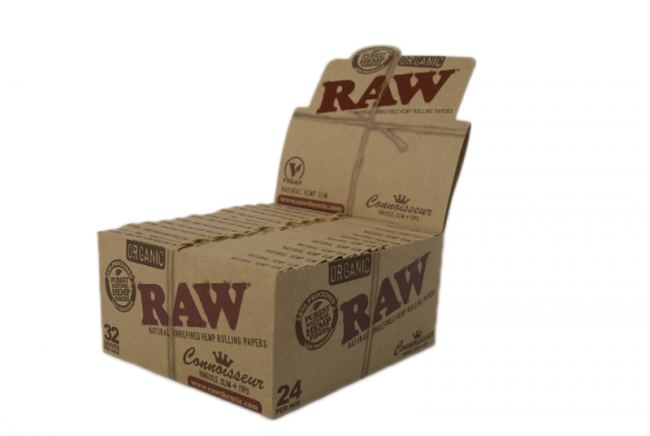 Connoisseur unrefined hemp psmoking apers are made by thhe Spanish company RAW. 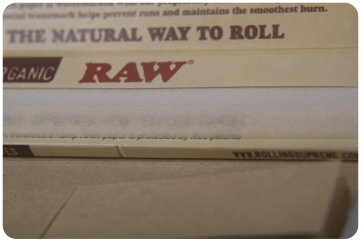 The 32 King Size papers are accompanied by an equal amount of filter tips attached to the inside of the cover. 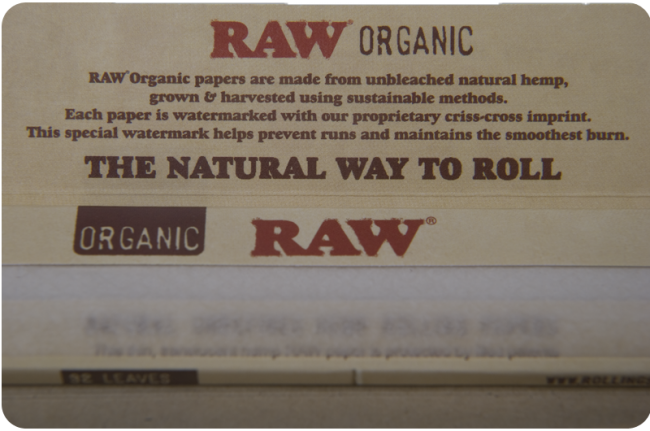 The papers are unbleached, slow burning and what makes the Connoisseur papers extra special is that even the gum is hemp based. RAW is a Spanish company that started of in 2005. Ever since, their number of followers is growing rapidly. 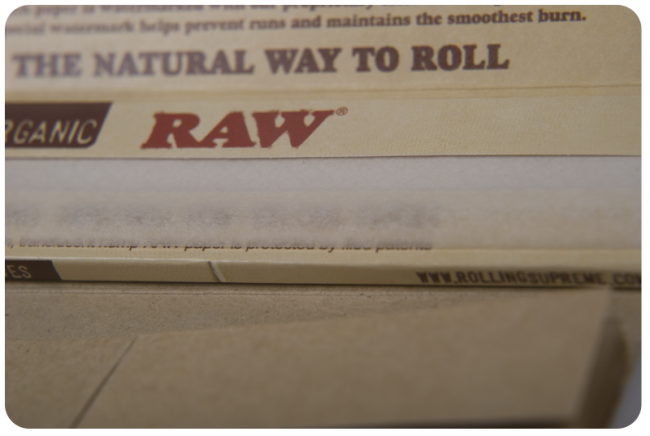 The unbleached natural hemp paper burns ultra slow, making you smoke your cigarette longer and enjoying it to the max. 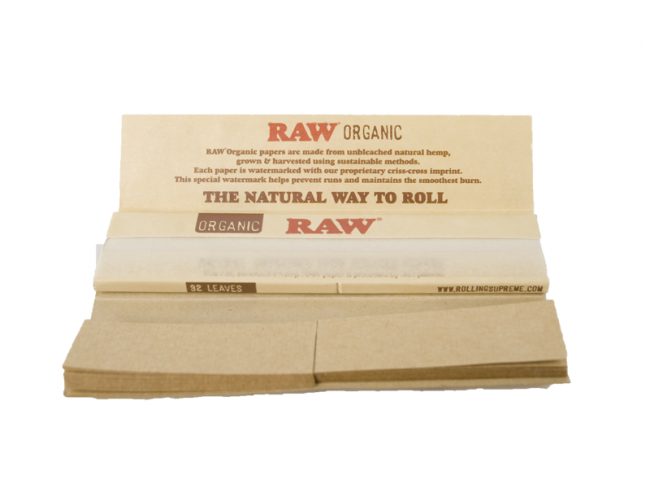 So handy with the roach papers in the pack too and elastic band to wrap around and keep everything neat.